Sectoral indices led by metal, capital goods, Teck and IT were trading in the green with gains of up to 0.75 per cent. The broad-based NSE Nifty went up by 23.95 points or 0.23 per cent to 10,402.35. Stock markets made a solid recovery in early trading session on Tuesday with the BSE Sensex gaining over 157 points and the Nifty recapturing the 10,400-level on buying by investors in metal, capital goods, teck and IT stocks amid a mixed trend at other Asian Markets. 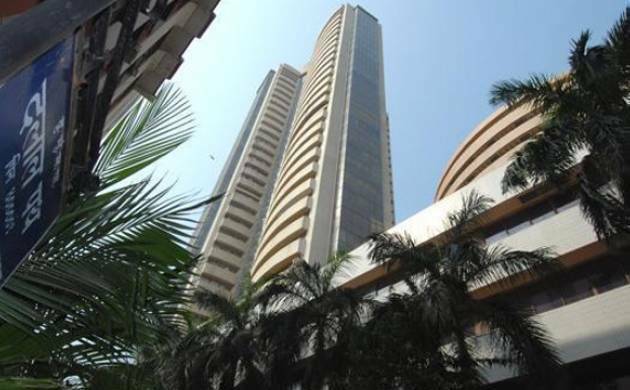 The 30-share Sensex recovered by 157.24 points, or 0.46 per cent, to 33,931.90 in opening trade. The index had lost 522.81 points in the previous two sessions. Tata Steel rose up to 1.5 per cent in early trade after reports suggest the steel maker was leading bidder for debt-ridden Bhushan Steel. IT stocks TCS, and Infosys also advanced up to 1.7 per cent on a weaker rupee. Banking stocks ICICI Bank, Axis Bank and Yes Bank gained on value buying after recent losses. Bharti Airtel, HDFC Ltd, L&T, M&M and ONGC also rose up to 1.4 per cent. However, Punjab National Bank, embroiled in the Rs 11,300 crore scam, remained weak and shed another 3.31 per cent while Gitanjai Gems lost 9.91 per cent. Brokers said buying by domestic institutional funds and investors amid a mixed trend at other Asian bourses improved the market sentiment. Domestic institutional investors (DIIs) bought shares worth a net Rs 586.52 crore yesterday, as per provisional data. Overseas, Asian stocks were trading mixed as Treasury yields climbed back toward recent four-year highs. Chinese markets will reopen on Thursday, 22 February. US markets remained closed yesterday, in observance of Presidents Day. In the Asian region, Hong Kong's Hang Seng was up 0.66 per cent, while Japan's Nikkei was down 1.20 per cent in early trade today. Shanghai Composite remained closed for a public holiday.